Dr. Vinay Mishra brings his rich, varied experiences as a practicing psychologist and a professor, to share how normal we all are, in spite of the emotional ups and downs each one of us faces in our lives. 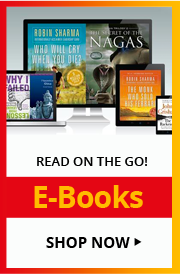 He reveals how to tackle these problems head-on through easy-to-follow advice with workable solutions to lead a healthy, more fulfilling life. Hectic modern lifestyle and stressful work situations can often cause psychological upheavals in us or people around us. Dr Mishra pinpoints issues that can be resolved easily with the active support of family and friends. It is a comfort to know expert help is available for those with more complex issues, which can definitely bring about a sea change in the quality of their lives. It is certainly possible to overcome psychological issues. 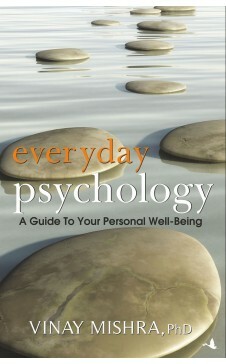 An excellent book on psychological topics for everyday use! Covering psychological problems, treatments and highly valuable advice for self help and social support in a precise, easy language Dr Vinay Mishra superbly takes the fruit of academic psychology to those in need/general public. -Petra Ute Mattes, Clinical Psychologist, Member of the Hessian Board of Family Counseling Center, Germany. Dr Vinay Mishra is a Psychologist, trainer and a professor of Psychology. He was selected for the Indian Military Academy but chose to teach and practice as a psychologist. He was the merit holder in Intermediate, graduation, and post-graduation level. Additionally he was awarded the National Merit Scholarship to do his doctorate in Psychology. Dr Mishra holds the distinction of being one of the first Indian psychologists to study human behaviour in Antarctica as a member of the 20th Indian Scientific Expedition to the South Pole. His path-breaking research has been adapted by the Government of India for selection of future participants in the prestigious Indian Antarctica Expedition. In addition to academics and research, Dr Mishra has been a cultural ambassador of India to the United States of America. He is a guest faculty at the Assumption University, Bangkok, and teaches organisational behaviour to MBA students of that university. Dr Mishra had been on a scholarship of the Denver International Program to the United States of America to study psychotherapy for sexual offences. He regularly writes for several local and national dailies on relevant aspects of Psychology. At present, Dr Mishra is Head – Department of Humanities, at the prestigious Bhopal School of Social Sciences, Bhopal.